Welcome to the Optical Technology Center (OpTeC), established in 1995 to promote education and research in the rapidly growing fields of optical science and engineering. 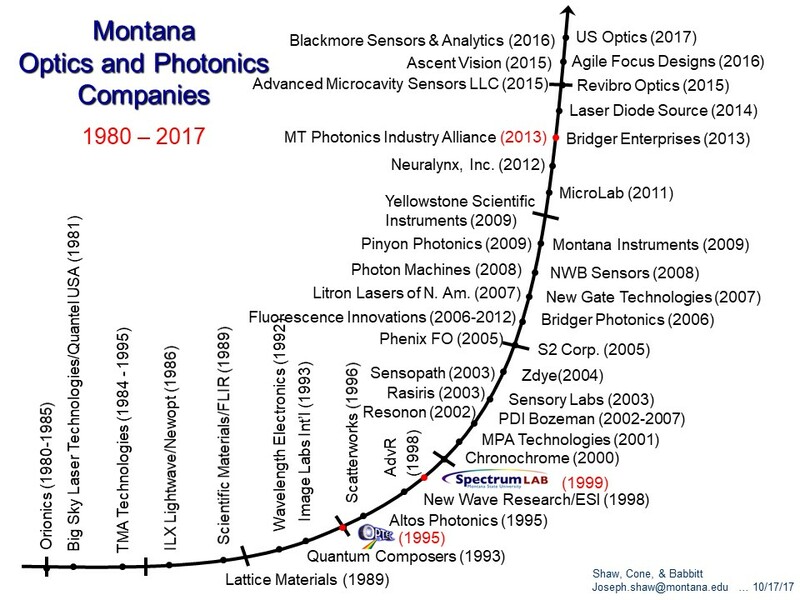 The Optical Technology Center is a multidisciplinary center at Montana State University, offering opportunities for students, faculty, industry, and other interested partners to learn and work together to find solutions to practical problems and to discover new applications for optical technology. We are located in Bozeman, a small city in southwestern Montana surrounded by mountains, fields, and rivers that provide incredible beauty and opportunities for outdoor recreation. We are located 145 km (90 miles) north of Yellowstone National Park and surrounded by the Bridger Bowl, Moonlight Basin, and Big Sky, ski resorts. The Gallatin, Jefferson, and Madison rivers come together to form the Missouri River 52 km (32 mi) west of us. Optics is a major component of our university research portfolio and the local economy.